Apple on Tuesday unveiled a new iPhone 7 and iPhone7 Plus as part of the Product Red program. 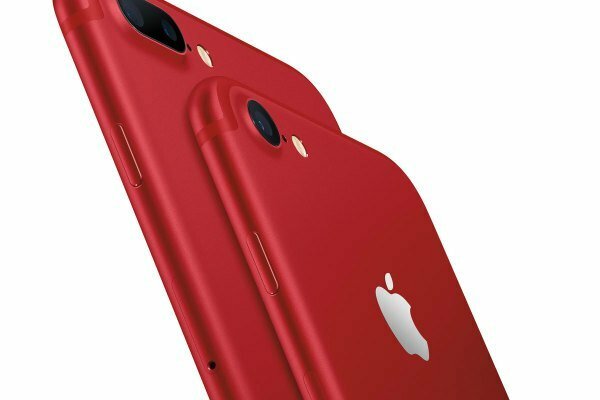 The red special edition of the iPhone 7 and iPhone 7 Plus will go on sale Friday. Each comes in 128-gigabyte and 256GB configurations, starting at $749. Co-founded by U2 frontman Bono and Bobby Shriver, Product Red, stylized as (Product)RED, raises awareness and funds to help eliminate HIV/AIDS in Africa by engaging the private sector. Funds raised go to the Global Fund to Fights AIDS, Tuberculosis and Malaria. According to CNET, this is the first time Apple has included its marquee phone in the program. Other Red products include its original iPod Nano, Beats products. and accessories for its iPad, iPhone and Apple Watch. Apple said that it has raised more than $130 million of the $465 million Product Red has generated for its Global Fund since 2006.